Slavic Bible School Camp is the crown of the work of Bible School throughout the whole year. This is the place where campers are placed into small groups, each one with their own leaders. Together they are like little families where no one is forgotten. Recreation, games, services, powerful prayers and late night talks around a campfire are just a little bit of what camp is all about. At the center of Bible School Camp lies real joy in the Holy Spirit, prayer and God’s presence. 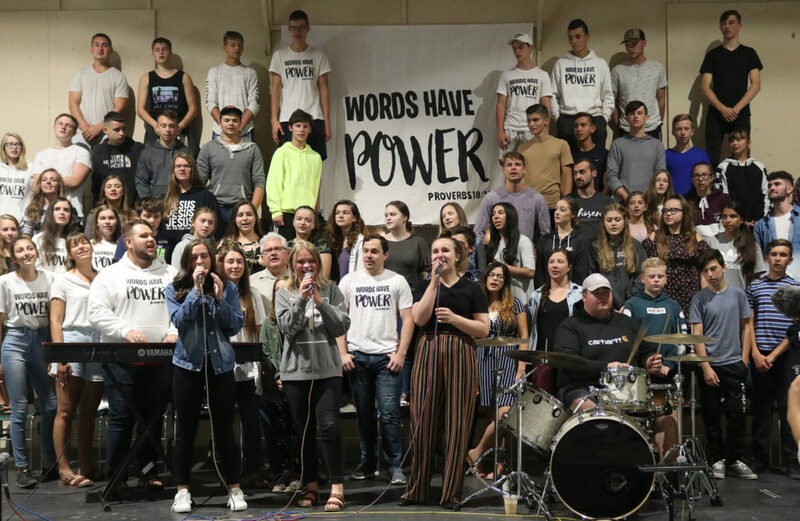 Young people gain unforgettable lessons taught by anointed teachers, pastors, and counselors, while forming lasting memories and new friendships. We dedicate this camp to the work of the Holy Spirit. Camp is open to all teenagers, youth, young families and adults that are in our church. This is the place where participation of campers is highly encouraged. Every camper is welcomed to help with administration, become a cell leader, staff, usher, join the worship team, and preach. As Christians, following the example set by our Lord Jesus Christ, we believe in power of prayers. We pray that Bible School Camp would meet the spiritual and moral needs of our campers. Our goal is to create a place where young people can allow God to restore and uplift their hearts. Though much planning is poured into the organization of this camp, we know that without God our efforts would be in vain. “Unless the Lord builds the house, they labor in vain who build it; unless the Lord guards the city, they watchman keeps awake in vain” (Psalm 127:1).